The Geller Center was known as a place that was open to anyone regardless of their belief system, political affiliation, or sexual orientation. The Geller Center housed meeting from groups as diverse as the Young Republicans, Young Democrats, Campus Crusade for Christ, Hillel at CSU, a GLBTQ coffee house, and many 12-step programs. We continue to open our doors to everyone seeking community or wanting to create change. Rev. Geller was known to be full of questions. Peggy Christiansen, former long-time Executive Director of the Geller Center, said that Rev. Geller was able to “relate to people of all different beliefs and to hear them with respect and yet very gently challenge people to think a little bigger.” One of his favorite ways to start a sentence was, ‘“Well, I was wondering…” At the Geller Center, we use an inquiry style of mentorship for our young leaders that encourage humility and lifelong learning. The Geller Center has brought together polarized groups over the years by focusing on common values and building community. One of our student leaders beautifully explained this experience, “The Geller Center teaches me to look past stigmas of race, religion, and physical ability. I can think of no other place in which the people are […] connected by trying to view the world through as many perspectives as possible.” One of Rev. Geller’s main goals was to bridge the gap between CSU and the community. He stated, “I had a strong conviction that the CSU students who made their homes in Fort Collins for four years or more ought to become involved in their community.” We continue in this spirit by bringing individuals, groups, and organizations together in collaboration. 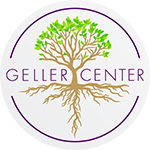 The Geller Center continues to provide its participants with the tools they need to participate and create communities dedicated to peace and justice. The Geller Center has a long tradition of service to the CSU and Fort Collins communities. Our Geller Leaders program provides young adults with the foundation they need to follow their passions and to bring the spirit of the Geller Center to new communities throughout the world.